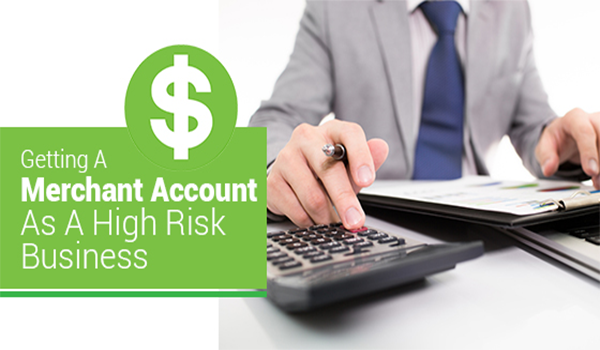 How Can A High Risk Business Get A Merchant Account? A merchant account allows businesses to accept payments by card – usually, debit or credit cards. If you are thinking about applying for a merchant account, it can be an intimidating process, especially if you are a new business, or a “high risk” business. A high risk business can include businesses that have: unstable/seasonal revenue, poor credit scores, active collection accounts, bad credit (personal or business), or a high number of chargebacks. There are many other types of businesses that are high risk, a majority of which can be found listed on our website. However, even if your business would typically be considered high risk, by making sure that your company’s reputation and finances are on the up and up, you can avoid being turned down for a merchant account. Banks and merchant processors want to take as little risk as possible, so it is important for you to be able to prove yourself as a worthy candidate. Be as upfront as you can about your financial situation, and do your research before starting the application process. Speak with a specialist that can provide you with the most current information on your credit situation, advise you of the next steps, and guide you in the right direction. Although businesses may see this as a hassle, it will ultimately save you both time and frustration. At MerchAct, we can help you determine if you are a high risk business and come up with the best solution for you. High risk merchant accounts are available to businesses that fit the above profiles. To better understand how you get set up to start accepting card payments, contact the MerchAct team today.